get in the places that are locked in the beginning. newly recorded script from the cast of the show. before crossing the street--you never know who could be speeding. hotline with Lisa and make prank phone calls with Bart. hidden inside shops and other locales. controls will be in the Mini Games section. The arrow keys can also be used to walk around from place to place. There are a couple of things on the screen besides the environments. of the area you are in. direction you are currently facing. and click on the cards to view the different ones. The help menu is the button next to the card viewer. It says HELP. and information about the game. it to turn the music on and off. this menu to open saved games. Next to the open menu. Click here to save your current game. donut box to close the menus. 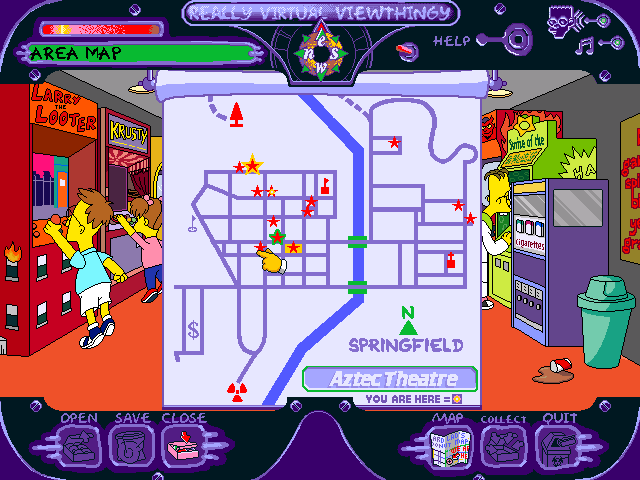 Click on the map near the center to view the Springfield map. The green trash can in the bottom-right corner is the quit option. Click there to quit the game. will appear as you progress through the game. spot is yellow, click to go that way. in on a specific spot. When you see this hand, click immediately! up an item. Always click when you see the grabber. appears it means the game is loading a new area or spot. 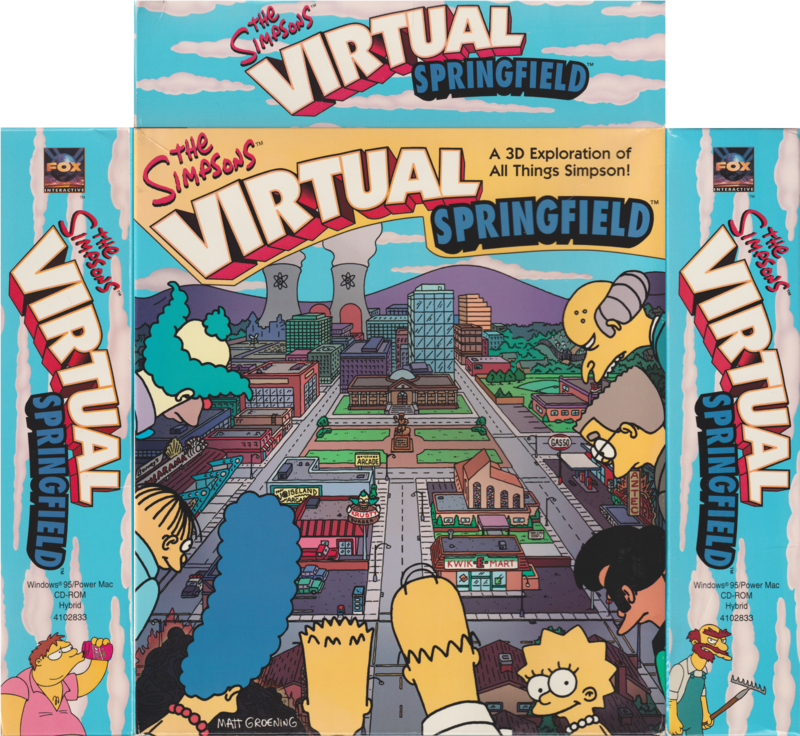 all of the 74 collector cards that are scattered in Springfield. pointed out because they open up other areas in the game. when you come back. ALWAYS get the cards as soon as you enter a room. explore if you want to have fun! 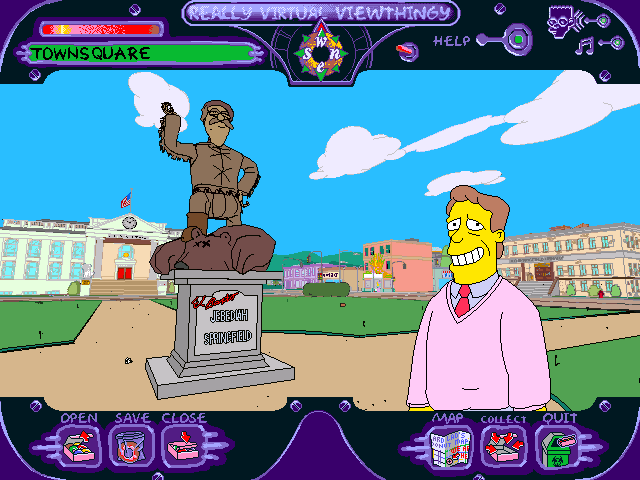 introduction speech and ogle the statue of Jebediah Springfield. the aisle to watch other funny scenes. 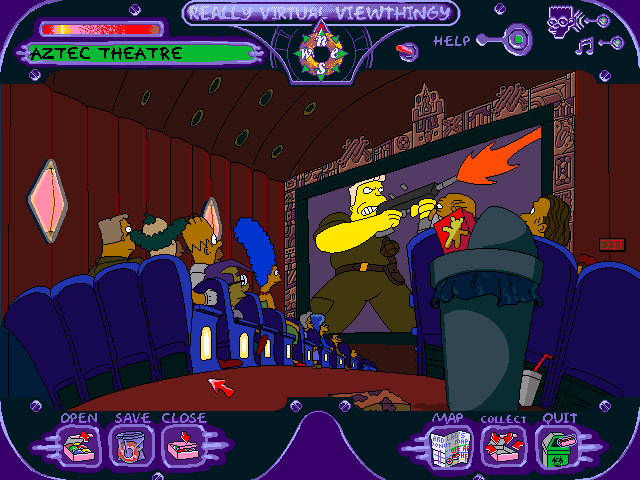 You're also in a theatre, so why not catch the latest McBain flick? Look under the flag stand on the left side to find a card. Krusty key to open Krusty's office at Krustylu Studios. Click on the podium and open the box in there to get the CMB key. This key will let you open the fireplace at Burns' office. to get it and have some fun with Flanders' kids. There will be a card in the trash can by the entrance, so grab it! ya need some book learnin'. open Principal Skinner's office at the school. If you click on the cabinet behind Moe a secret door will open up. open all the crates to get it. and pick up the note from Lisa's desk to unlock Ms. Hoover's drawer. gerbil and find a card hidden in the back. on the wall opposite his desk to get a card. 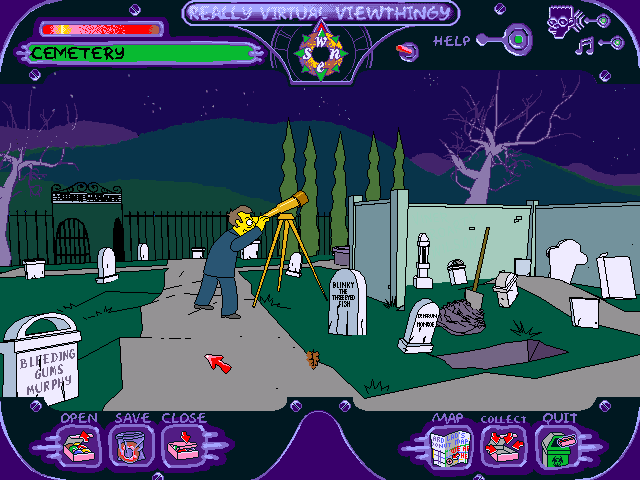 allow you to use the telescope at the cemetery. Get the note from under Bart's bed, then you can open the lockers. 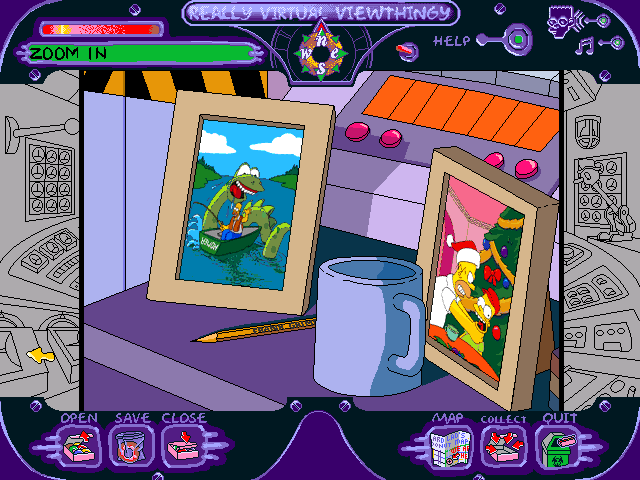 Look in Milhouse's desk to get a hint about one of the mini games. coins into a hole to win. opponent to a bloody pulp. is splatter him with tomatoes. him blow out a card from his pipe. the Balloon Toss mini game. the Donut Toss mini game at the power plant. bottom drawer of Ms. Hoover's desk at the school. 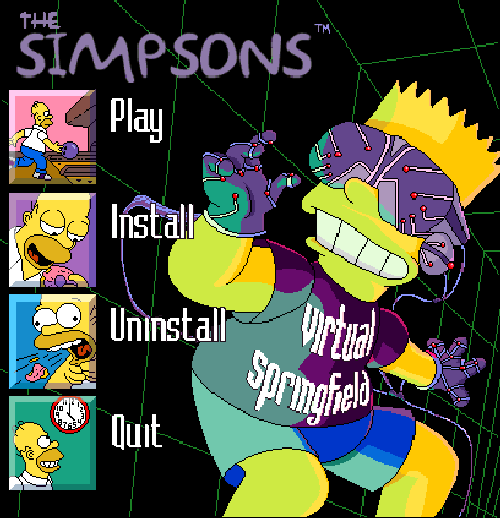 then play the Slingshot mini game. 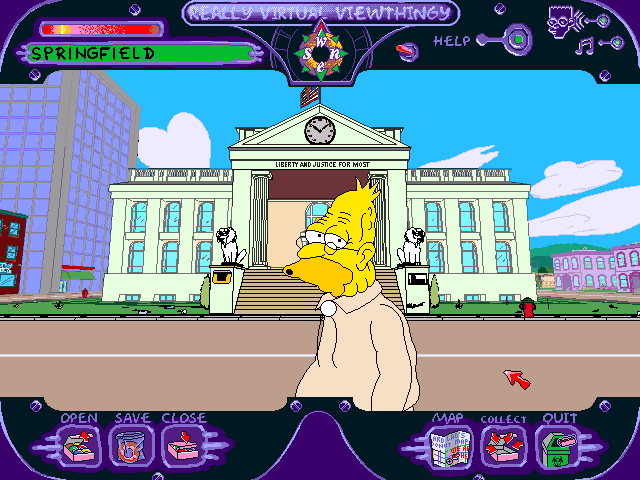 to get access to the lockers at Springfield Elementary. You can find a card under the monkey paw in Maggie's room. Click on the bar to play the Bar Game mini game. 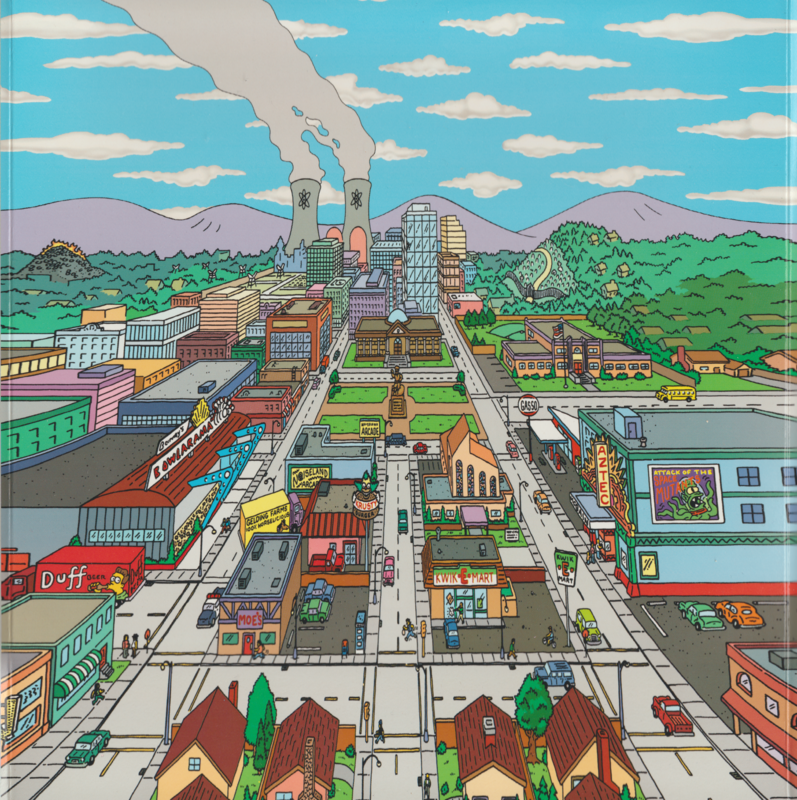 There isn't much here, except the great view of Springfield. under a candle. You'll get a card from it. a gray paper on the left side. Look under the Labor Laws poster in the lobby to get a card. go to Krusty's office. Click on the TV to get a card. Search the top bookshelf to find a card up there. drawer to get a Stoncutters ring. mprince@excel.edu), you can use the telescope to look at the stars. Click on the podium and look at the bottom (next to the t-shirt). Go to Town Hall and look in the top drawer to get this key. Go to the Stonecutters' HQ and open the box at the podium. It opens the fireplace at Burns' office at SNPP. Go to Moe's Tavern and look in the pink box to get this key. It unlocks Principal Skinner's office at the school. ring. You will gain access to the Stonecutters' HQ. can now get the gerbil food in Hoover's desk at the school. Look under Bart's bed and look in the wood to find this. You will gain access to the lockers at the school. 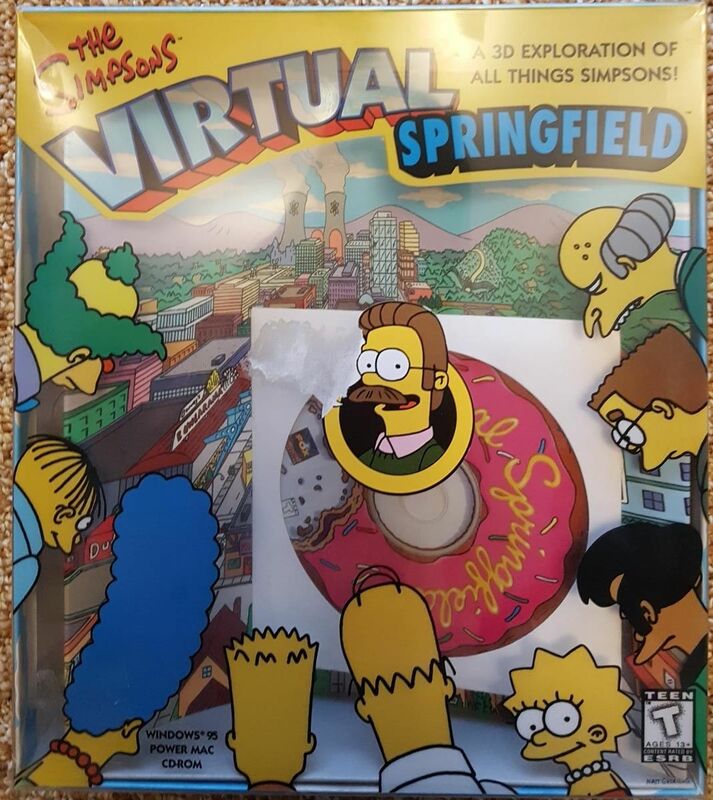 be able to play the Donut Toss mini game at the SNPP. this. You can then open the cabinet under the gerbil. access to the bottom drawer at the Retirement Castle. 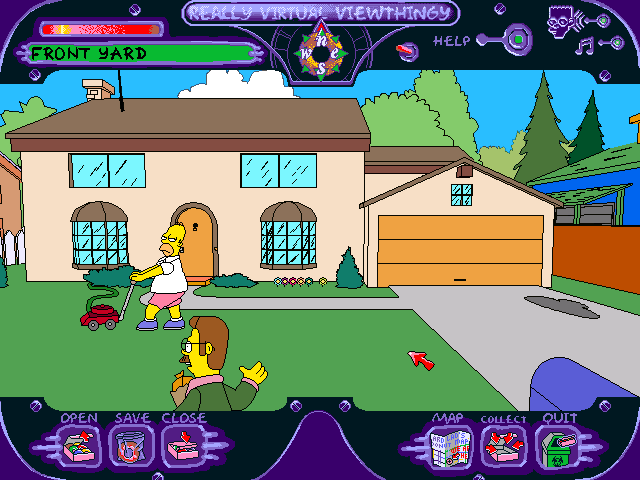 Click on the bar at Flanders' House, then the Holy Water. -The left and right arrow keys move the bottle. -The up key will shake the bottle. -Spacebar to shoot the water. -Left and right arrow keys to move the balloon. -Up and down keys for distance. -Space bar to fire balloons. Go to Bart's room and look in the left drawer of his desk. -Use all the arrow keys to aim. 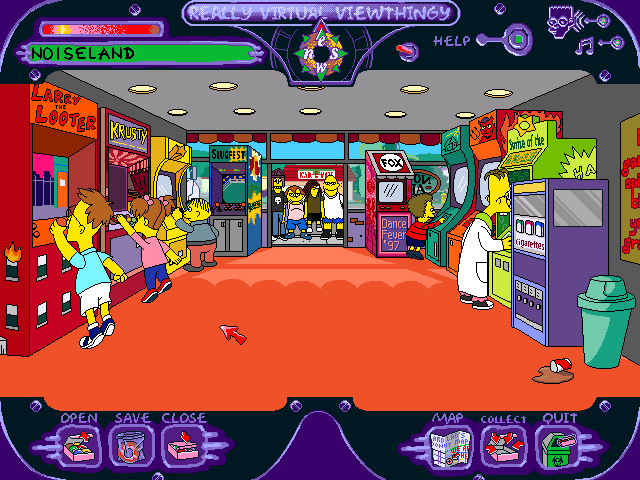 Go to the Kwik-E-Mart and click on the door behind Apu. -Use the numeric keys to choose a weapon. -Space bar to fire weapons. lever at Homer's office at the SNPP. 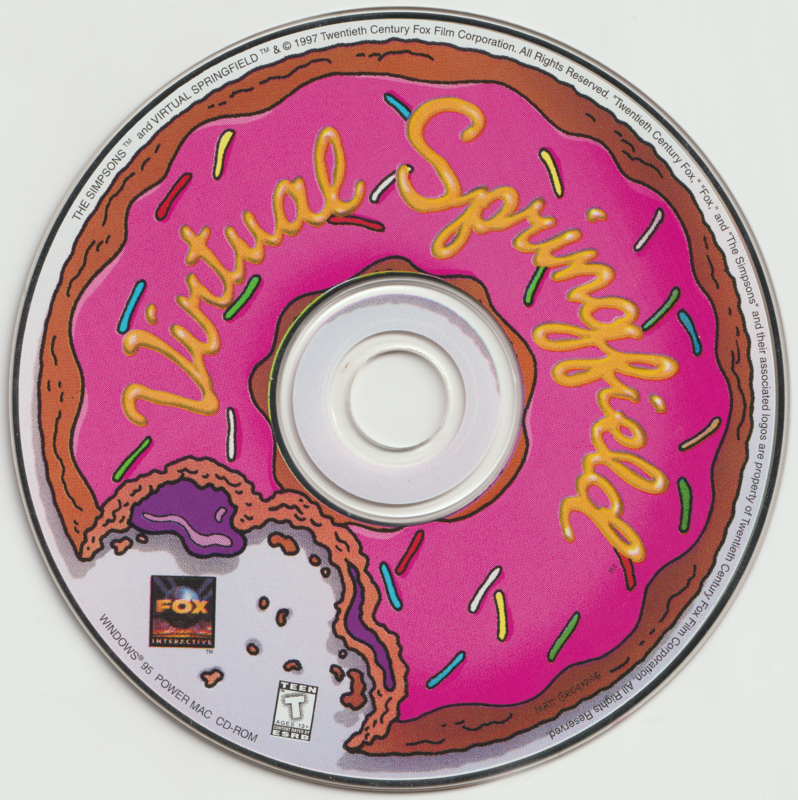 -All of the arrow keys to move the donut. 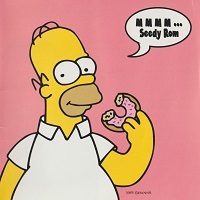 -Space bar to throw donuts. Go to the Noiseland Arcade and click the first game on the left. -Right arrow key to move to the right. -Up arrow key to break the windows and steal stuff. Click on the arcade in the middle on the left. -Click the gold button to release a coin. Click on the far arcade on the left side. This is the green arcade on the right (Frink's playing). -Left and right arrow keys to move hand. -Space bar to throw tomatoes. 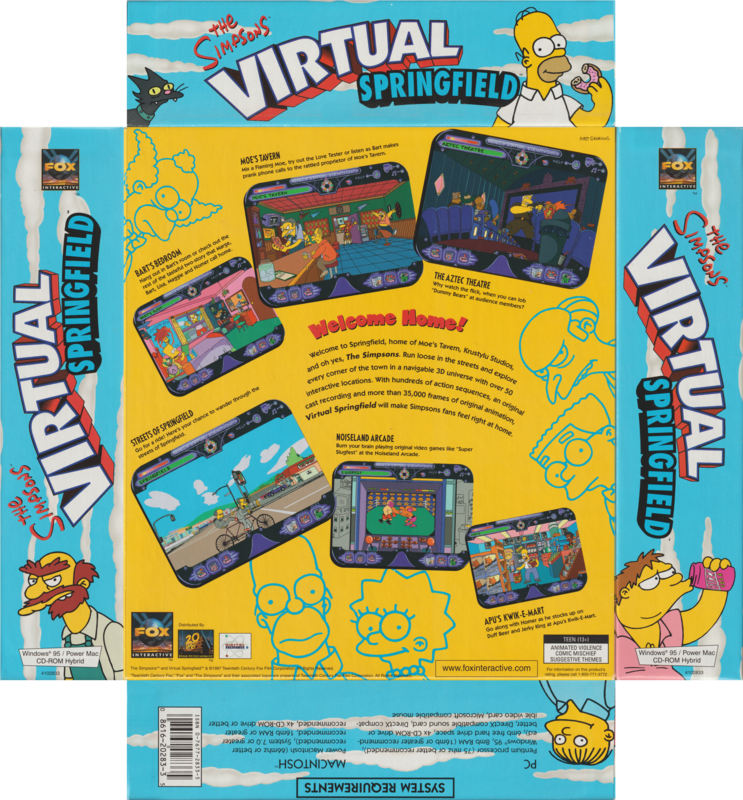 Q: Is this a 3D free-for-all in the magical land of Springfield? A: Not quite. The only actual 3D element would be the streets. Everything else is just plain ol' animation. Q: Then why did Fox Interactive claim it was 3D? A: To sell it, duh. Q: I heard there was a Bart Cave. Where is it? automatically go there. No walking involved! into the Control room and look under the clipboard for another card. room card and the cards will never run out. link is no longer active. This is just another rewrite for one of my old FAQs. Completed the entire guide. Have fun! 4. 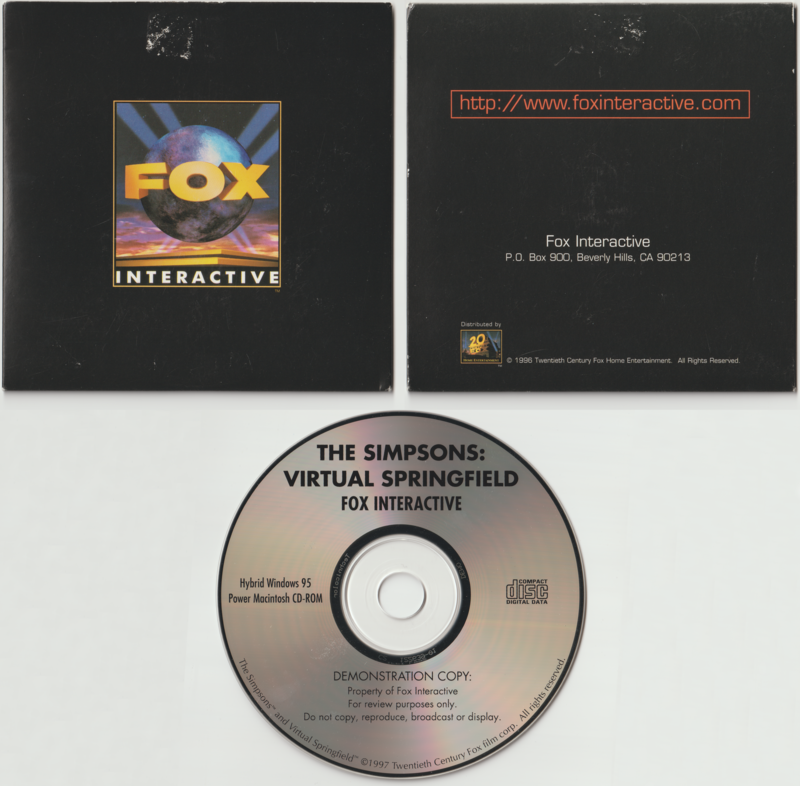 Fox Interactive and Digital Evolution for the game.